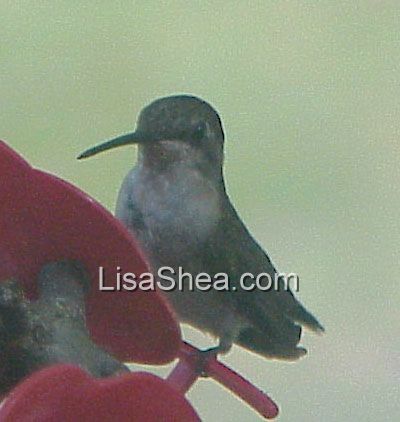 The Ruby-Throated Hummingbird, Archilochus colubris male has a bright red throat and green body. The female is green all over, with a white breast. 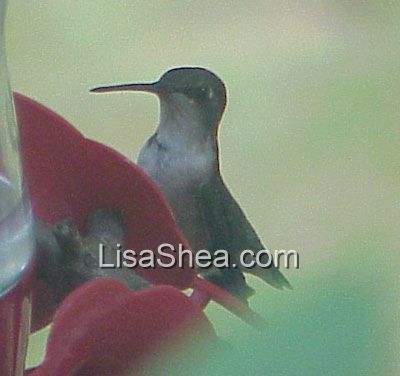 This is the only hummingbird typically seen on the east coast, and ranges from Canada to Mexico. It is around 3.5" long and loves nectar and nectar-producing flowers. 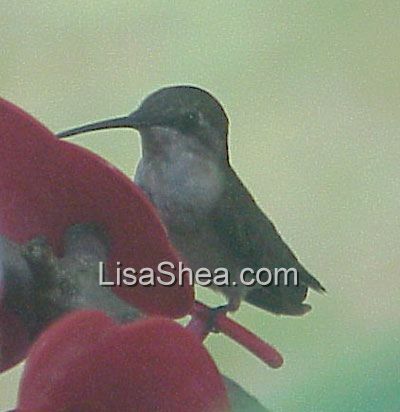 I get a few of these hummingbirds each summer in Massachusetts. They love my homemade nectar and come by around once an hour. Here are some photos of a female, taken in July 2002.